Top 10 Films of 2018 2/3rd’s…of the year! | From the Fourth Row! Top 10 Films of 2018 2/3rd’s…of the year! 2018 has been a great year for films. This year has had plenty of blockbusters, documentaries, animated films and indie films alike. A lot of films have had a buzz behind them but, came and went with a fizzle. 2018 has had quite a few sequels as well. some with a lot of fan fare. People have been looking forward to them because the first film was so popular with fans and film critics alike. With studios trying to find fertile ground to put there films not many weeks went by without seeing a big releases. February was once a toilet bowl of movie season with the occasional gem such as Silence of the Lambs coming out. March has become a huge landing spot for major studios the last few years as well. Even Disney/Marvel has changed its release date to April 27th on its tentpole film to get some breathing room from other big productions in May. May is the official beginning of the summer film season. With a film coming out each week all summer long. This year has had so many ups and downs regarding its films. Its safe to say thought that there were about fifteen great film up to the month of August, 2/3rd’s of 2018. 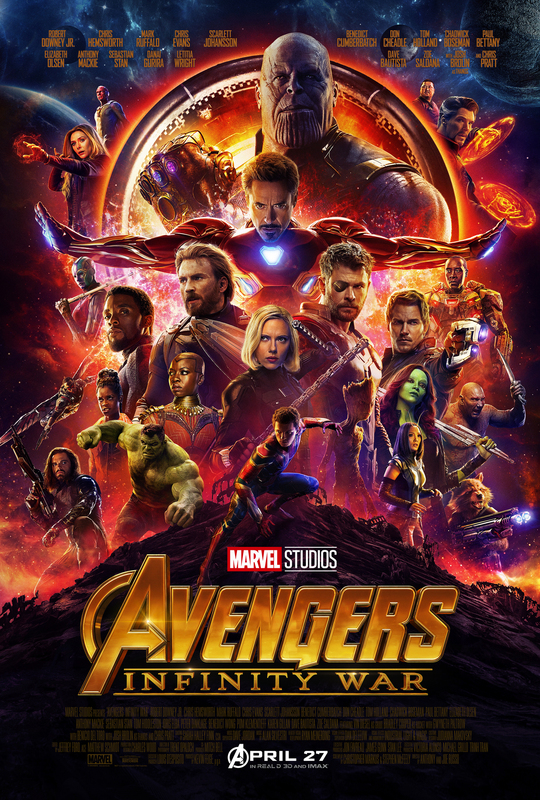 15:Avengers:Infinity War: Avengers:Infinity War is directed by Joe & Anthony Russo and stars Robert Downey Jr., Chris Evans, Chris Hemsworth, Benedict Cumberbatch, Chadwick Boseman, Tom Holland, Mark Ruffalo, Scarlett Johansson, Chris Pratt, Josh Brolin and Tom Hiddleston. Thanos is on his mission to collect all the Infinity Stones and nothing The Avengers do can will stop him. The Russo’s up the ante for this big budget blockbuster. Teaming all the hero’s from all the MCU Movies (Marvel Cinematic Universe). This film as plenty of action comedic and scenes alike. It’s The Avengers movie we’ve all been waiting for over ten years. 14:Blindspotting: This film is directed by Carlos Lopez Astrada and stars Daveed Diggs and Rafael Casal. Collin must make it through his final three days of probation for a chance at a new beginning in his Oakland, Calif., neighborhood. His bond with his volatile best friend soon gets tested when Collin sees a police officer shoot a suspect in the back during a chase through the streets. Things soon come to a head when the buddies attend a party at the upscale home of a young and wealthy tech entrepreneur. 13:Don’t Worry He Won’t Get Far on Foot: This film is directed by Gus Van Sant and stars Joaquin Phoenix, Rooney Mara and Jonah Hill. After nearly dying in a car accident, the last thing Oregon slacker John Callahan intends to do is give up alcohol. Encouraged by his girlfriend and a charismatic sponsor, Callahan reluctantly enters a treatment program and discovers that he has a knack for drawing. The budding artist soon finds himself with a new lease on life when his edgy and irreverent newspaper cartoons gain a national and devoted following. 12:Hearts Beat Loud: This Film is directed by Bret Haley and stars Nick Offerman and Kiersey Clemons. Father daughter are heading in different directions until they decide to make music again. Like they did when they both were younger. The songs are catchy and the story is compelling. I had a tear in my eye and a song in my heart. Bret Haley knows how to pull the heartstrings. 11:You Were Never Really Here: This film is directed by Lynn Ramsey and stars Joaquin Phoenix. Joe isn’t your average Hit man. He seems to live a normal life but he gets played to rescue kidnapped children from there captures. Lynn Ramsey sends Joe on a bloody violent path of revenge. This film is gritty and bloody and violent and I loved it. The Top 10 of 2018…So Far. 10:Sorry, to Bother You: This film is directed by Boots Riley and stars Lakeith Stanfield, Tessa Thompson and Armie Hammer. In an alternate reality of present-day Oakland, Calif., telemarketer Cassius Green finds himself in a macabre universe after he discovers a magical key that leads to material glory. As Green’s career begins to take off, his friends and co-workers organize a protest against corporate oppression. Cassius soon falls under the spell of Steve Lift, a cocaine-snorting CEO who offers him a salary beyond his wildest dreams. 9:Incredibles 2: This Film is directed by Brad Bird and stars Holly Hunter, Craig T. Nelson, Samuel L. Jackson, Bob Odenkirk, Kathryn Keener, Sarah Vowell and Huck Milner. 14 years was too long to wait for the sequel everybody has been wanting. Brad Bird picks up right where he left off literally and figuratively. This time the roles are swapped Mr. Incredible/Bob Parr stays home to keep and eye on the kids and Elastigirl/Helen Parr is out fighting crime. 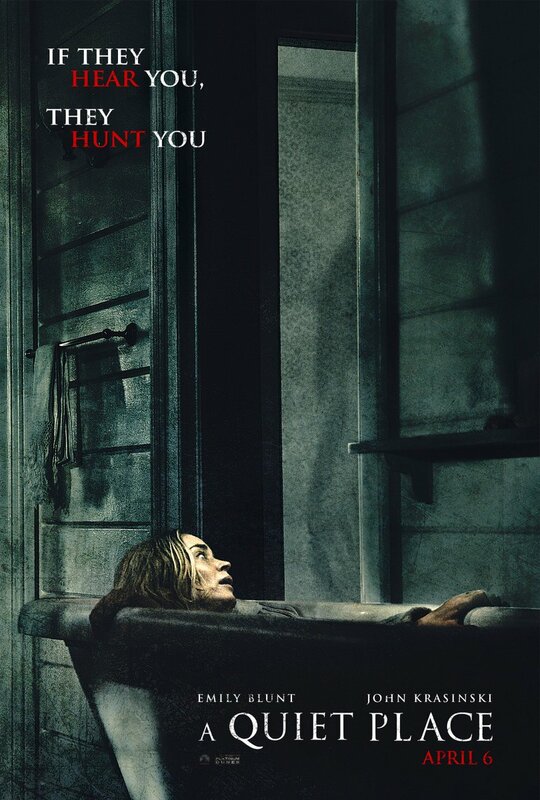 8:A Quiet Place: This film is directed by John Krasinski and stars himself, Emily Blunt, Millicent Simmons and Case Woodward. Lee Abbott is a man who care about nothing else except protecting his family from creatures who can’t see you but they can hear you. John becomes a breakout director in the genre that keeps on giving, the horror genre. Emily Blunt and Millicent Simmons are incredible without saying word. 7:Three Identical Strangers: This film is directed by Tim Wardle. Identical triplets become separated at birth and adopted by three different families. Years later, their amazing reunion becomes a global sensation but also unearths an unimaginable secret that has radical repercussions. 6:Eighth Grade: This film is directed by Bo Burnham and stars Elsie Fisher. Thirteen-year-old Kayla endures the tidal wave of contemporary suburban adolescence as she makes her way through the last week of middle school — the end of her thus far disastrous eighth-grade year. 5:Won’t You Be My Neighbor: This film is directed Morgan Neville. Love is a way of life for Fred Rogers. He has dedicated his life to showing children via his tv show about the world and it’s problems. Talking heads discuss how he has made the world around him and there lives better. 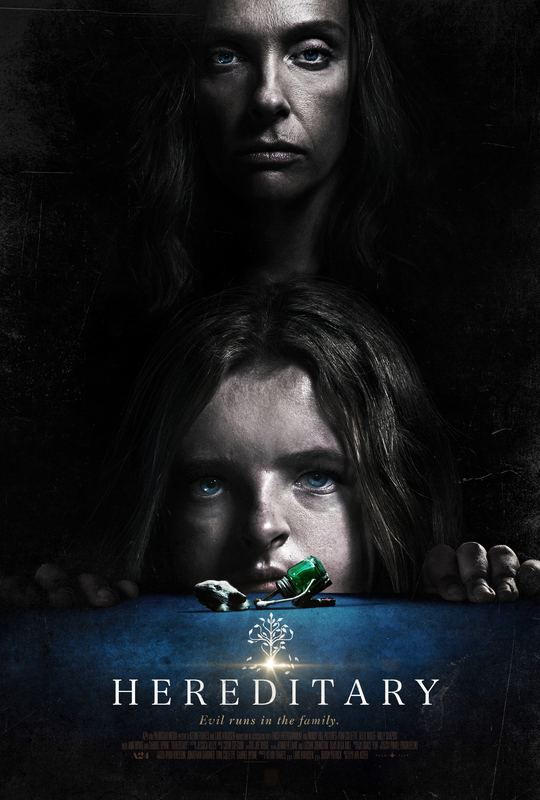 4:Hereditary: This film is directed by Ari Aster and stars Toni Collette, Gabriel Byrne, Ann Dowd, Alex Wolf and Milly Shapiro. A mother has to deal with a recent death but also tries to juggle the problems of her daughter and son. She enlists help from a support group friend but it makes things worse for her and her whole family. This is a mind blowing film of tragedy terror. 3:Leave No Trace: This film is directed by Debra Granik and stars Ben Foster and Thomason McKenzie. A father and daughter live a perfect but mysterious existence in Forest Park, a beautiful nature reserve near Portland, Ore., rarely making contact with the world. But when a small mistake tips them off to authorities, they are sent on an increasingly erratic journey in search of a place to call their own. 2:First Reformed: This film is directed by Paul Schrader and stars Ethan Hawke, Amanda Seyfried and Cedric The Entertainer. Reverend Toller meets a man and his wife and this fateful meeting makes him spiral out of control. With pressure from Super Church Pastor and a local businessman he questions everything he knows. Paul Schrader crafts an absolute masterpiece of cinema. 1:Black K Klansman: From visionary filmmaker Spike Lee comes the incredible true story of an American hero. It’s the early 1970s, and Ron Stallworth (John David Washington) is the first African-American detective to serve in the Colorado Springs Police Department. Determined to make a name for himself, Stallworth bravely sets out on a dangerous mission: infiltrate and expose the Ku Klux Klan. The young detective soon recruits a more seasoned colleague, Flip Zimmerman (Adam Driver), into the undercover investigation of a lifetime. Together, they team up to take down the extremist hate group as the organization aims to sanitize its violent rhetoric to appeal to the mainstream. Produced by the team behind the Academy-Award® winning Get Out. The rest of the year has plenty of other potential films that could end up on this list by the end of 2018. Films from Damien Chazelle, The First Man, Barry Jenkins, If Beale Street Could Talk, Steve MaQueen, The Widows and of course your holiday fair. Such as Fantastic Beasts the Crimes of Grindlewald, Aquaman, Spider-man:Into the Spider Verse, Mary Poppins Returns, Bohemian Rhapsody and Bad Times at the El Royale just to name a few. You never know a surprise of two could pop up as well. we will just have to see which films rise to the top to become the cream of the crop of 2018.